Brazil or Peru: which country is more expensive? This comparison of travel costs between Peru and Brazil examines average prices across multiple categories. Please visit each country's individual budget page for more detailed information. Should you visit Brazil or Peru? Brazil and Peru are very different countries, except for the Amazon Rainforest that they share. Although 60% of this gigantic natural haven is within Brazil, 17% is found in Peru and both destinations provide you with a completely different Amazon experience. There is however no doubting that whichever part of the Amazon rainforest you visit you will have an amazing time exploring this unique ecosystem and its diverse nature. One of the main differences between visiting the Amazon in Peru and Brazil is the distances you will need to travel in order to reach them. Due to the sheer size of Brazil, Manaus is over 1000 miles inland and is over a 4 hour flight from Rio de Janeiro meaning that you will need to set apart more travel time in order to reach the gateway to the Brazilian Amazon. Alternatively, the Peruvian Amazon, located in Southern Peru, is easily accessible from both Lima, 1h40min flight, and Cusco, 1h flight, allowing you to fit it in to your travel itinerary as you visit Machu Picchu and the Amazon in successive days or arriving at Lima's International airport. The Amazon river itself is amazing to see, wherever you go. The places furthest upstream tend to offer most biological diversity, if you want to see lots of animal species. So Peru might be better in that respect. Also, the further you can get away from human settlements, the more likely you are to find larger animals like monkeys, peccaries, jaguars, etc. 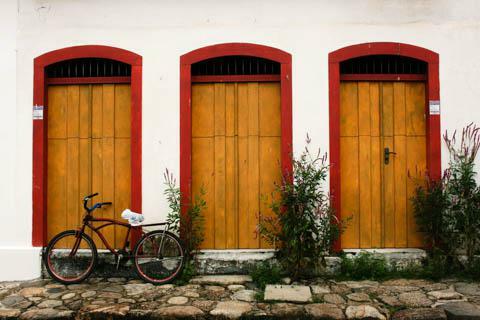 Whether you should explore Brazil or Peru depends on what you are looking for. 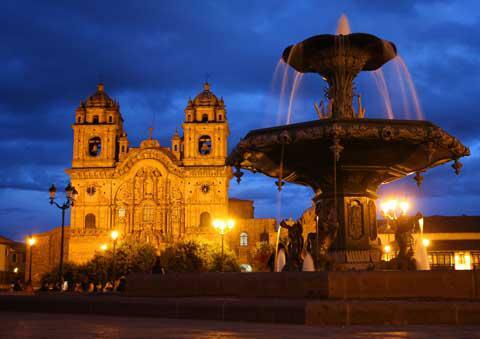 In Peru, Cuzco, the capital of the Inca Empire is a popular destination for tourists. Its various churches from the colonial time, its many museums from the Inca Museum to the Chocolate Museum and its Plaza de Armas with numerous small gardens and benches make Cuzco a picturesque city. Many visitors only pass through Lima to go to Cuzco but with its historic center and its many museums, the City of Kings has a lot to offer. Lima is also famous for its cuisine and you will be able to enjoy a nice meal in front of the beautiful ocean landscape. On the other hand, if you decide to fly to Rio de Janeiro, you will discover a very different atmosphere. You can relax on the beaches of Ipanema and Copacabana, experience the Brazilian party scene, enjoy the view of the city from the Christ Redeemer on Corcovado Hill or learn more about Rio's historical past. And depending of the season, you can even take part in the Rio Carnival or the Oktoberfest. Rio de Janeiro is a large city, which can be a little overwhelming for visitors who are travelling for a getaway from a chaotic city or environment. In this case, Peru is perhaps a calmer and better option. In terms of the highlights of each country, a trip to Peru is never complete without enjoying the beauty of the incredible Machu Picchu, just like a trip to Brazil cannot be planned without including a trip to the spectacular Iguazu Waterfalls. Both sites are part of the highlights of South America that you don't want to miss and once again both are very different. Hidden between several mountains, Machu Picchu has a lot to offer in terms of architecture and stonemasons skills. If you're feeling adventurous you can take the Inca Trail but if you want to relax and enjoy the beautiful scenery you can also take the train from Cuzco. The Iguazu Waterfalls and Its 275 individual waterfalls spread over 3 km are a completely unique natural wonder. Just next to the waterfalls, you can also see visit the bird park and discover some beautiful birds such as the Hyacinth Macaw and toucans. When is the best time to visit Brazil and Peru? Why is Brazil more expensive than Peru? Peru can be very affordable with a lot of great value accommodation and food in the amazing places that every backpacker wants to visit such as Cusco, Lima and Lake Titicaca. Your biggest expense is likely to be your visit to the Machu Picchu or the Machu Picchu Inca Trail trek. Many of the costs in Peru will be far higher if you book online while abroad and bear in mind that the overall cost of travelling in Peru can be high due to the cost of the main attractions, which some travellers visit in very quick succession. A short loop around Lima, Cusco, Machu Picchu and Lake Titicaca is likely to cost you more than the same amount of time spent only in Rio de Janeiro. However, it makes for an incredible experience with a lot of fascinating culture in a short period of time. Remember that in Peru, you can always eat for cheap. Lunchtime menus and cheap and tasty street food are a budget traveler's best friend. Most hotels and hostels also offer free breakfast. What are the most expensive and cheapest cities and regions in Brazil and Peru? While there is no doubt that prices are higher in the big metropolitan areas, visitors to the large cities of both Brazil and Peru can experience a mix of prices. With a more diverse range of hotels, travelers to Rio de Janeiro, Sao Paulo, and other urban areas can find both cheap and expensive accommodation and food options. In cities such as Lima, Arequipa,Trujillo, and Iquitos, a variety of options are available for food and accommodation, too. If you want more luxurious services and hotels, they will cost more, but plenty of cheaper businesses can also be found. Northern Peru is less touristy than the South and therefore has lower prices. How you can save money when visiting Brazil and Peru? As explained before, a great amount of money can be saved on food in Peru. Touristy restaurants, especially in hotspots such as Lima, Cusco and Arequipa, are more expensive than the typical restaurants frequented by regular Peruvians. Eat where the locals go and you will be surprised at how well you can eat in Peru on a budget. Eat your free breakfast if your hotel or hostel offers it with the price of your room. Sometimes it is just bread and jam, but better hostels will also have fruit, cereal, fresh fruit juices and coffee. Finding out which ATMs charge the lowest withdrawal fees abroad is also a good idea before leaving to Peru. You can ask your bank for information you may find that your bank is part of the Global ATM Alliance, in which case you might be able to avoid some withdrawal fees. An important rule when travelling to Peru is to watch out for scams. Learn about the types of scams in Peru and how to avoid them. A popular scam is the exchange of notes that are either false, broken or teared because a note needs to be in its perfect state to be accepted in Peru. You should also set prices in advance whenever possible. If you don't agree on a price before accepting a service, you might be presented with an unexpectedly large bill. Peruvian taxis are a prime example. With no meters, it's up to you to negotiate a price before each cab ride and if you think the fare is too high, find another taxi. Another great way to save money in Peru is to not be afraid to haggle over prices, especially in traditional markets where prices generally start high. You can sometimes even try to negotiating prices for hotel and hostel rooms if you are staying for at least four to five days. Also try to learn Spanish, as it will make your ability to negotiate prices, haggle and avoid scams less limited. This being said, if you want to buy souvenirs, buy them at the source or in local markets rather than in touristy shops or airports. Peru isn't a big tipping nation, and there are only a few occasions when a tip is expected, such as in a mid-range to upscale restaurants. Peruvian taxi drivers don't expect tips for example. As for transport, flights aren't too expensive in Peru but they can add up. If time allows, privilege buses for long distances and preferably mid-range and top-end Peruvian bus companies for safety reasons. Not only will you see more of Peru, you'll also arrive at your destination with extra cash to spend on tours and entertainment. However, don't always assume that a tour is necessary. Many historic sites and natural attractions in Peru are easy to reach by public transport, normally a much cheaper option than private tours. Choose your tours wisely, as in many cases you can hop on a cheap minibus and find a local guide when you arrive at your destination. If you're going to travel by bus, consider traveling overnight. The top-end buses are comfortable enough to get a reasonably good night's sleep, saving you the expense of a hotel and wasted daylight hours on the road. Some roads in Peru are much safer during the day, so avoid overnighters if safety is an issue. You can equally apply some of these tips during your travels in Brazil. You should also agree on taxi prices for your journey with the taxi driver before setting off but taking the bus is much better most of the time. You can use couchsurfing for accommodation, which connects you with locals who will give you not only a free place to stay, but also a local tour guide who can introduce you to all the great places to see. If you prefer to stay in a hotel get a double room. In Brazil, you will pay a premium for a single room, almost twice the cost of a double. Pair up with a friend to halve the cost of your accommodation if you're not keen on staying in a dorm. Finally, if you can, travel off season if you want to keep prices low.